This Max Lucado’s Hermie & Friends® best-selling story now available in easy-to-read format! Hermie and his friend Wormie have always felt common. They don’t have stripes or dots, they aren’t very strong, and they can’t find anything special about themselves. But every time they pray, God tells them that He loves them all the time just as they are and that He isn’t finished with them yet. 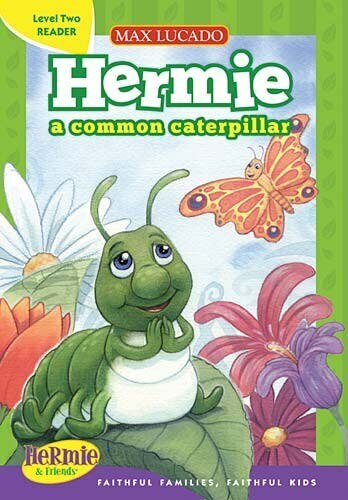 When Hermie becomes a beautiful butterfly, he realizes just how special God’s plan is for him! This classic story has been revised for kids to read and enjoy on their own as a Lever 2 Reader. With fresh new art and a story kids can read themselves, plus a new, low price-this classic story will find a whole new generation of kids who love Hermie and his garden friends!